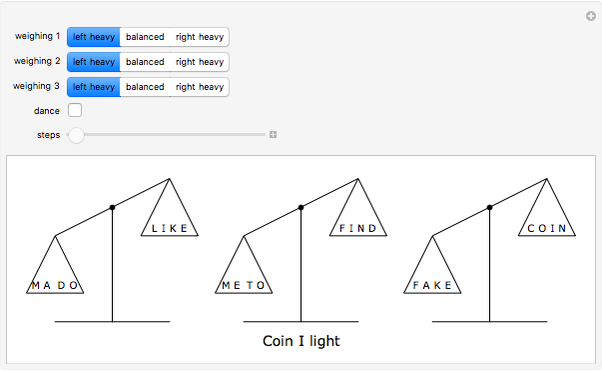 You have 12 coins, labeled with letters M, I, T, F, O, L, K, D, A, N, C, and E. One of the coins is fake, and is heavier or lighter than the others. 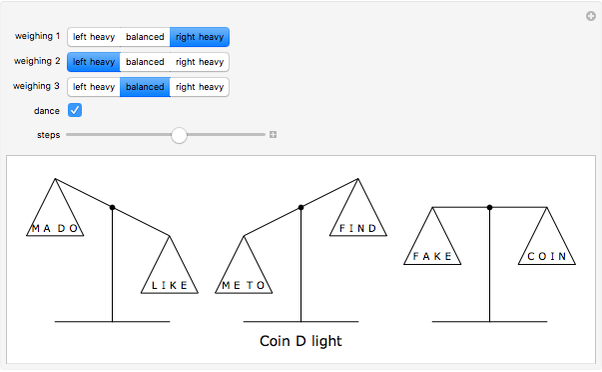 With help from the mnemonic "ma do like me to find fake coin," three weighings will automatically determine which coin is fake. 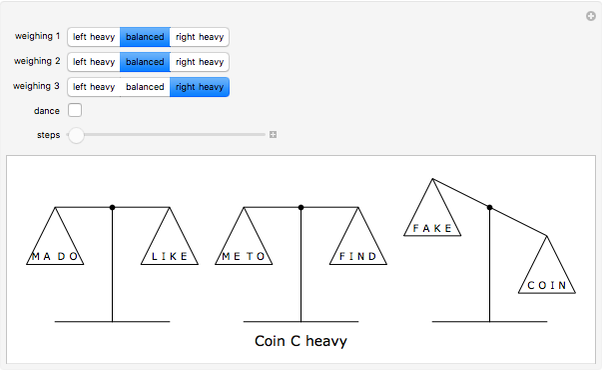 Ed Pegg Jr "The 12 Coin Weighing Problem"